Home > Archery- Hunting, Target, Traditional > Arrows & Shafts > Shafts > Easton Hyperspeed Shafts, dz. Item Number: Easton Hyperspeed Shafts, dz. Easton’s new Hyperspeed are all-around performers for compound target and 3D shooting. These 6.5MM shafts combine speed performance, with the unmatched precision and durability of Easton’s Made in USA Carbon technology. The Hyperspeed is available in the most popular performance spines ranging from 300 to 500. 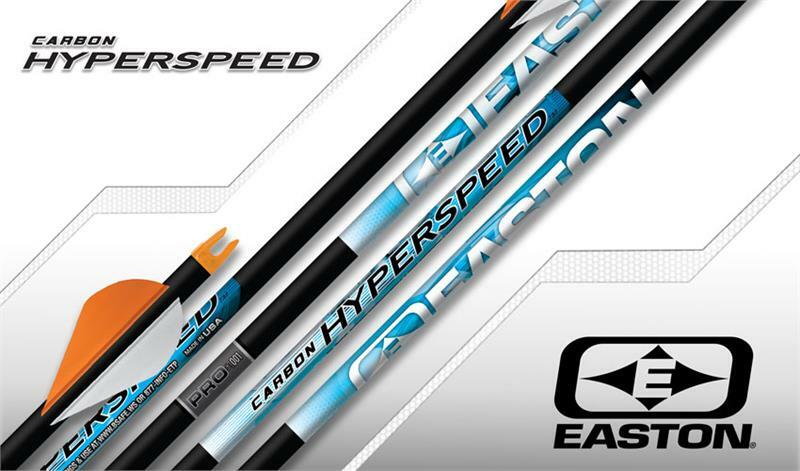 The Hyperspeed Pro is offered in a precision, one-thousandth tolerance straightness and is available only through storefront, full service authorized Easton dealers.